I was mentioning Celia Birtwell to a young friend recently, and she said 'oh, you mean the one who works for Topshop?' Apart from making me feel jolly old, I was also sad to think that there's a generation out there who now purely associate Celia with a high street collaboration - to be fair a brilliant one - rather than realising that she is 'the face that launched a thousand prints', one of the most influential fashion figures of the sixties, creative partner of Ossie Clark and muse to David Hockney. Celia studied textiles and pottery at college in the 1950s, but later moved to London where she worked as a costumier for The Royal Shakespeare Society. Friends encouraged her to go back to textile design, so she created some Op-Art inspired furnishing fabrics for Heal's. By 1965 Celia had moved in with Ossie Clark, the same year Alice Pollock of iconic London store Quorum commissioned a collection from them. They went on to dress the stars of the swinging sixties, from the Beatles to Jimi Hendrix, Twiggy, Mick and Bianca Jagger. 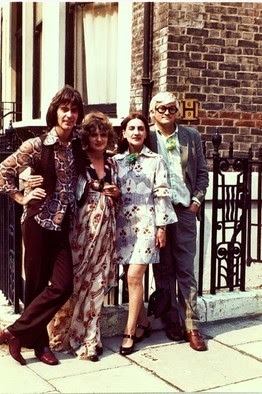 Celia and Ossie married in 1969 with only Ossie's sister Kay and their friend, the artist David Hockney as guests. Celia was dressed in an Ossie dress decorated with her trademark Mystic Daisy print. A year later Hockney painted his famous portrait of the couple and their cat Percy which now hangs in the Tate. 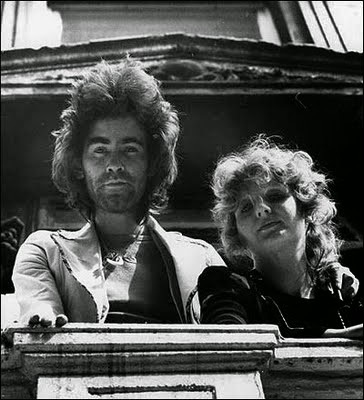 They had two sons together but divorced in 1974. Celia continued to be Hockney's muse, working as a paid model for him in the later 70s. In the 1980s Celia went on to design home fabrics and opened her own shop which she ran successfully until it closed two years ago. In 2006 she enjoyed a wonderful comeback with a capsule collection for Topshop which was so successful, she went on to do two more. She's also designed collaborations with Boots, John Lewis and Uniqlo. 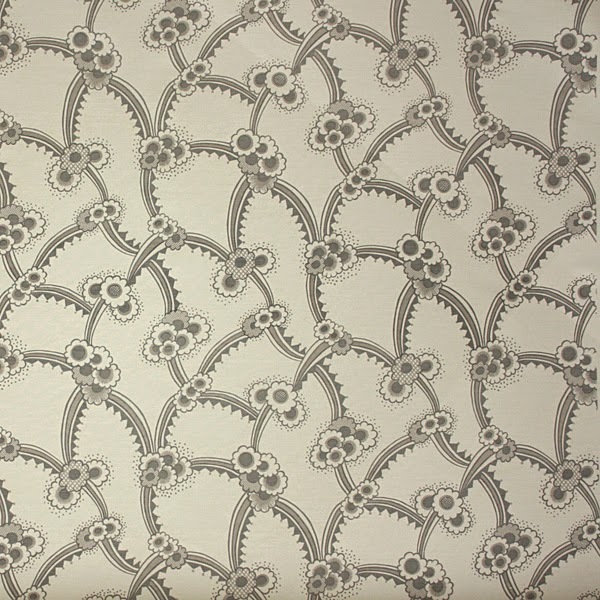 You can see Celia talking about one of her most famous prints, Mystic Daisy in the video below. In 2011 she was named CBE in the Queen's birthday Honours list in recognition of her services to the fashion industry. 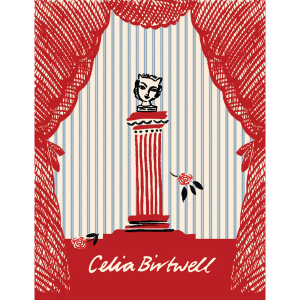 That year she also published Celia Birtwell the book, offering a retrospective of her life. You can see many of Celia and Ossie's iconic designs in the V&A museum, and you can also buy original vintage pieces from Celia's own site, if you have a lot of dosh!